1. 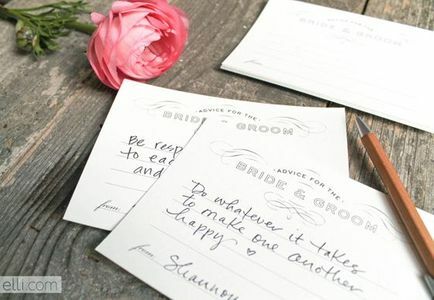 Have guests fill out advice cards for your first year of marriage. Make sure to display them in your home on your bar or coffee table. 2. 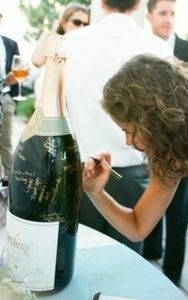 Guests can sign their names on a champagne bottle to be displayed in your home or to drink on your anniversary. 3. 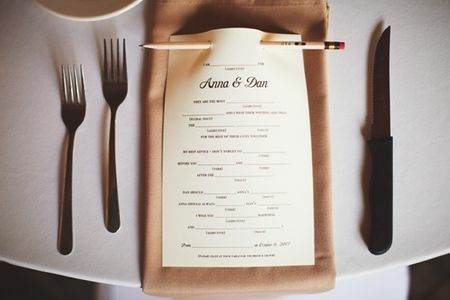 Leave mad libs on the tables for guests to fill out. You and your groom can enjoy reading them over and over! 4. 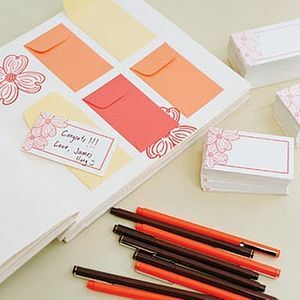 Create a guest book filled with mini envelopes for guests to slip their notes into. 5. If you are having a photo booth at your wedding, have the machine print out two copies. One for the guests to keep and a second for them to paste in your guest book and sign their names next to! 6. 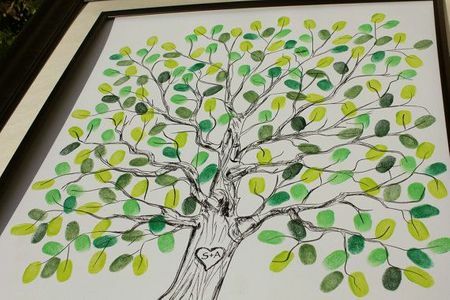 Purchase the base image of a tree and have guests stamp their thumbprints as leaves and sign their names. There are tons of options for these on Etsy.